We’re concerned about farmers’ attitude and lack of compassion for kangaroos; that kangaroos are causing accidents and killing people in car accidents… article published in The Age Nov 15, 2105. This is victim-blaming. What strategies prevent these accidents? There are few wildlife crossings, no continuous, interlinking wildlife corridors in Victoria, no technology to prevent such accidents. Kangaroos are not killers, but one of the most peaceful and gentle Australian animals. What kills is traffic, speeding vehicles, lack of warning of wildlife on roads, and the Colonial attitude that humans have the RIGHT OF WAY – and any obstructions must be “culled”! Senior Sergeant Mark Edwards, officer in charge of the Bendigo highway patrol, told The Sunday Age that a lot of the crashes in the area covered by his team directly involved kangaroos. “Collisions with kangaroos, they are certainly higher than I’ve ever seen before,” he said. This does not mean there are more kangaroos, in Victoria, but more traffic on our roads! According to DELWP the planned population for Victoria by mid century will be 10 million people, which will mean inherently more traffic, urban sprawl, human impacts and more land needed for food production. One farmer said he regularly saw kangaroos in large numbers on his property. “This year is the worst in my experience,” said the farmer, who did not wish to be named. The experienced farmer said he was running about 10 per cent less sheep than he would otherwise be able to. This translated to about a 10 per cent reduction in profit, in a year when earnings were already affected by the severe dry conditions, he said. 1 Timothy 5:18 (CEB) The scripture says, “Don’t put a muzzle on an ox while it treads grain, and Workers deserve their pay”. In other words, we can take from Nature, but some sacrifice must be made to maintain fairness, and food for wildlife. Just how many kangaroos are there in ‘large numbers’? Kangaroos are endemic to Australia, not feral pests. Australia has the world’s highest rate of mammal extinctions…not something of which we can be proud! In fact we fail to protect our world famous, most recognized symbol. We live in a mega-diverse continent, and farmers need to recognise that some of their resources belong to kangaroos and other native animals. We are an ancient land, and need to live off the Interest that Nature bountifully provides, not take away the Capital. Some land must be provided for native trees, and wildlife corridors, rather than resentfully deny kangaroos a mere 10% of “profits”. Scripture says we must not “muzzle the oxen while it is treading the grain”. Kangaroos are part of our natural heritage, and should be catered for. They help manage grasslands, grazing on excess grass, helping to prevent bushfires. They also add value to soils and are re-generators of native grasses. Peter Tuohey, president of the Victorian Farmers Federation, said more action needed to be taken to deal with kangaroos. There must be more wildlife corridors, wildlife crossings, over passes, underpasses on roads, respect, compassion, more technologies to prevent this carnage, not just for people but for all animals. Why aren’t there sensors, to detect motion on the roads, connected to signs warning drivers? Default solution always seems to be to KILL more kangaroos, rather than address the issue non-lethally. The State government does not know how many kangaroos there are in Victoria, and so much habitat has been taken away, and not replaced with offsets and wildlife corridors! We are asking the Premier of Victoria, Daniel Andrews, to provide some compassion for kangaroos, as they were here a long time before us! 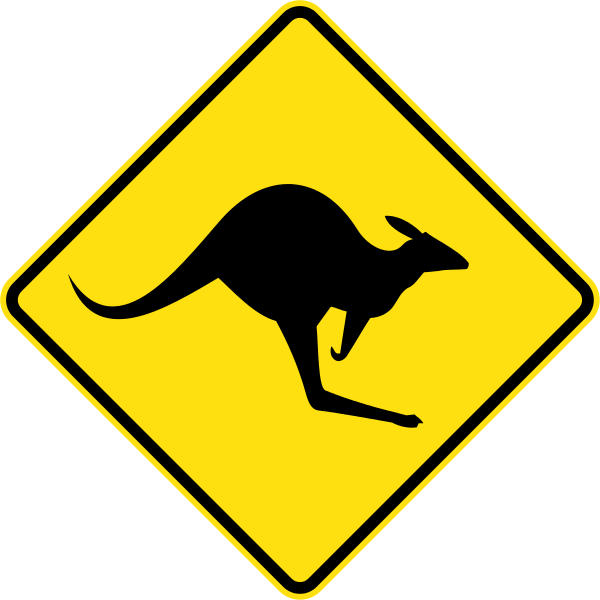 Kangaroos are the symbol of Australia, and recognised around the world as such. They should be appreciated rather than constantly victimized and demonised. We respect our Premier and we ask him to show some balance, innovation and leadership in protecting our roads and keeping them safe for humans, kangaroos and other wildlife.